One of my favourite things about Calgary is the fun events that we have and that there is more happening all the time. This year, there’s a vegan-friendly dinner experience coming that is brand new to Calgary that I am very excited to announce! The company Dinner4Four Co. designs, markets, and manages culinary events across Canada and the US and have created an amazing event called Soirée in The Valley. This Dine Under the Stars event series that will be in Toronto, Edmonton, Winnipeg, Quebec City, Montreal, and now it is coming to Calgary for the very first time! How cute do those domes look? Soirée in The Valley is a magical way to dine outside in nature and under the stars. The best part about the domes is you don’t have to worry if it rains or shines! From May 1st-31st, 2019 these domes will be set up at Fish Creek Provincial Park. Did you know that Fish Creek Provincial Park is the second largest urban park in Canada? The Bow Valley Ranche Restaurant, a magnificent and historical landmark, will be part of the event through our partner, Great Events Group, for the Calgary Soirée in The Valley. You can expect your dinner to be expertly prepared by the restaurants own Chef Daryl Kerr and Chef Jenny Kang. In your private dome, you will enjoy a 4-course dinner with wine and/or champagne (additional cost). I was very happy to see that such a huge event offers a vegan option as their main menu! It’s a blind menu that will be revealed on the day of your reservation! I am very excited to see how amazing the vegan courses are. There are two steps to reserve your spot, first, you have to reserve the dome which is a single cost that you can split with your party. 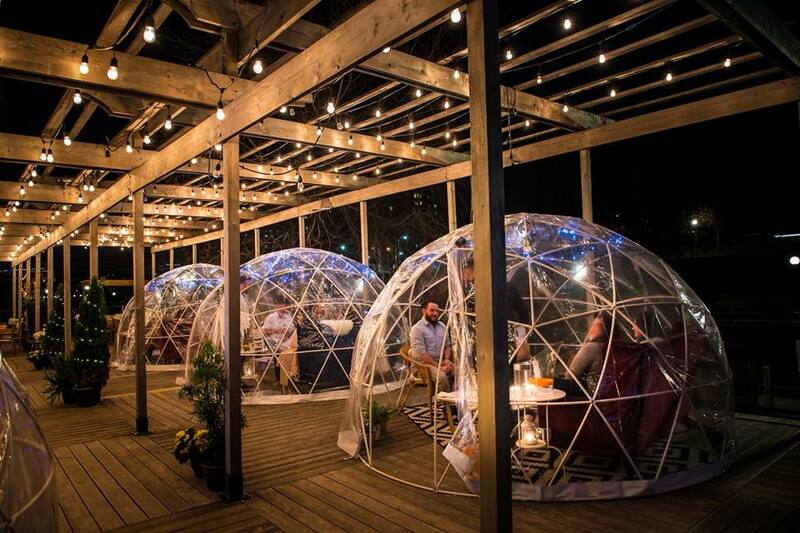 Then, you purchase your dinner tickets which will be in your Garden Dome confirmation email. Each dome comfortably fits 4-6 people so tell your friends and secure your spot by heading here. Who wants to come with me?! P.s. pre-sale ends January 20th (sign up for their email list on their website to get your discount)! Follow along on Instagram @calgarysoiree2019 and @dinner4fourco. RSVP on Facebook. And get excited about Canadas largest outdoor dinner event! If you have more questions check out their FAQ page here.